Himachal Pradesh Congress Committee Chief Sukhwinder Singh Sukhu urged the various sections of the society that include trade and business organisations to extend their support. Himachal Pradesh Congress has appealed the general public to make the nationwide ‘bandh’ against rising inflation on 10 September a success. In a Press statement issued on Saturday, Himachal Pradesh Congress Committee Chief Sukhwinder Singh Sukhu urged the various sections of the society that include trade and business organisations to extend their support. Terming the pan-India ‘bandh’ a common man’s fight, he said that every section of the society across the country is being burdened by spiralling price rise and has disturbed the budget of every household. “We appeal to the public to join us,” he said. “Adding that the Central government needed to be woken up from slumber to bridle the rising inflation,” he said. Sukhu directed the Congress party workers to hold a peaceful protest and exercise caution during the ‘bandh’, so that emergency services ambulance, fire brigade and other vital services is not affected during the shutdown. On 16 May 2014 the crude oil price in the international market was 107.09 dollar per barrel, however, today the same is for 73 dollar per barrel, he said and blamed the NDA government for callousness, despite international prices going down. “During the time of the UPA government the price of petrol was Rs 70, diesel Rs 55, where as it has now touched Rs 80 and Rs 70 respectively. LPG has shot from Rs 400 to Rs 900 under the Modi led government,” he rued, adding that the prices of food grains has also escalated. To lend momentum to the efforts of ‘bhandh’ called by central leadership, Congress has chalked out a strategy to make the shutdown a success and has appointed senior leaders. Himachal Pradesh Congress incharge Rajni Patil will be in Shimla, AICC secretary for Himachal Gurkirat Singh Kotli at Mandi, Member of Parliament (MP) Ranjeeta Ranjan at Dharamsala and MP Ravneet Bittu at Solan to oversee the ‘bandh’. 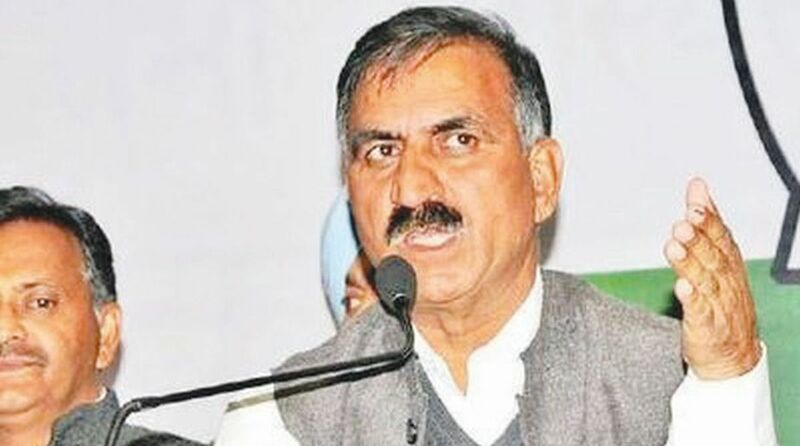 Meanwhile, other Congress leaders appointed by Sukhu for various districts include Thakur Singh Bharmouri and Kuldeep Pathania (Chamba), G S Bali and Sudhir Sharma (Kangra), Ravi Thakur (Lahual and Spiti), Bhudhi Singh Thakur, Sunder Thakur and Bhuvaneshwar Gaur (Kullu), Kaul Singh Thakur, Prakash Chaudhary (Mandi), Inder Dutt Lakhanpal and Kuldeep Kumar Pathania (Hamipur), Satpal Raijyada, Kuldeep Kumar and Rakesh Kalia (Una), Bambar Thakur (Bilaspur), Col Dhani Ram Shandil, Lakhwinder Rana (Solan), Vinay Kumar (Sirmaur), Anirudh Singh, Vikramaditya Singh (Shimla) and Jagat Singh Negi (Kinnaur).